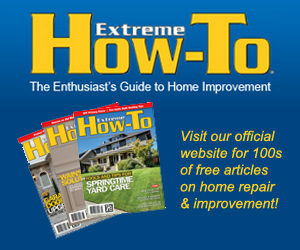 Cracks in caulk joints occur because the house moves, and the caulk doesn’t move with it. 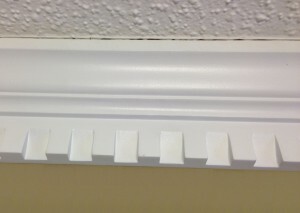 This movement can occur when the house settles, or as the building materials expand and contract with seasonal changes. 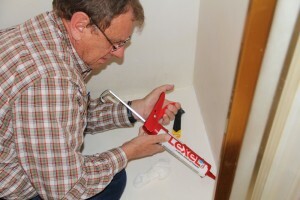 Wouldn’t it be nice to have a caulk that moves with the the house? The Sashco company makes some top-notch products that do exactly that. I’ve already reported on this blog about Lexel, a multipurpose co-polymer rubber-based alternative to silicone. With its superior adhesion, Lexel creates that 100-percent watertight seal that is 400 percent more flexible than standard silicone sealant. Plus, Lexel is a paintable product. When it comes to workability and stretchability, it’s hard to top the Big Stretch caulk from Sashco. It spreads as easily as mayonnaise and is ideal for filling large gaps where acrylic latex would normally shrink and pull away from the joint. In fact, Big Stretch can span gaps as wide as 2″ (with a backer rod), and its superior adhesion and flexibility means it will stay in place. Instead of cracking, it compresses and stretches, capable of expanding more than twice its original size. 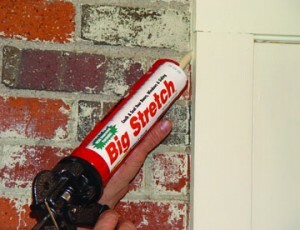 Big Stretch is a 100% acrylic latex, high-performance caulk that will absorb just about any movement a home can dish out, stretching up to 500% of the original joint size without cracking. Big Stretch is paintable and stainable, perfect for many interior and exterior applications, including: windows, doors, siding, vents, soffits, eaves, crown molding and baseboards. 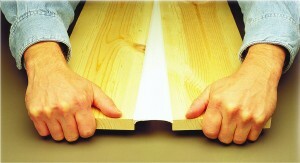 For more information on the Big Stretch and Lexel products, check out the Sashco website at www.sashco.com.